© Michael Nanton. All rights reserved. Bees work. 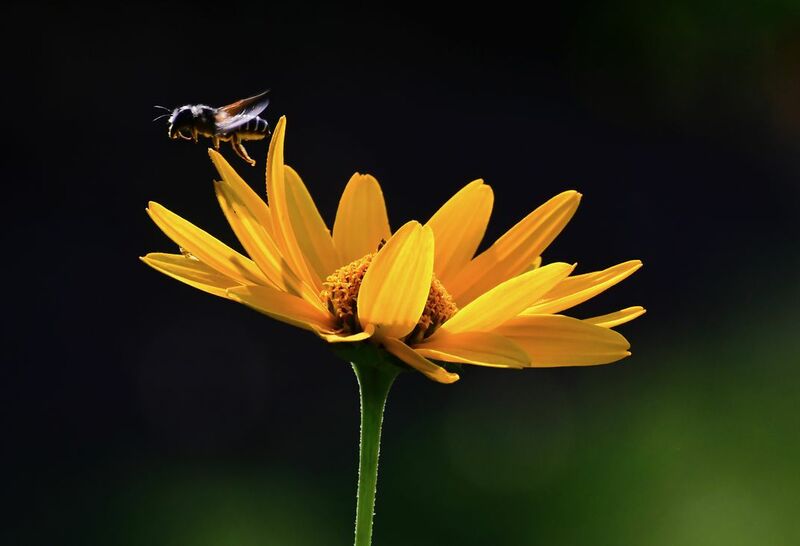 The photo is showing a bee that just took off from a flower with it's pollen and is heading for the next flower. It shows the words "busy bee" in action. Date Uploaded: Nov. 28, 2018, 8:57 p.m.